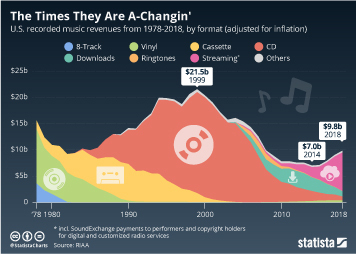 For a long time, the internet was expected to result in the death of the music industry. 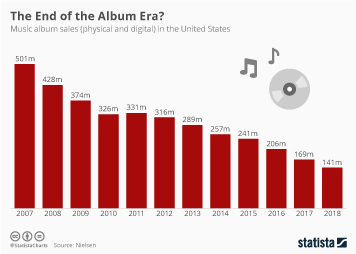 With the industry’s incapability to cope with the technical possibilities the internet brought, CD sales, the big labels’ main pillar of revenue, were constantly falling. 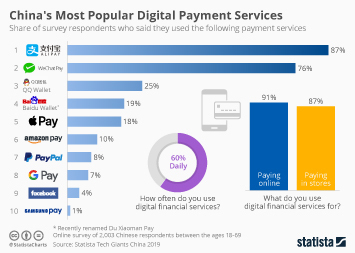 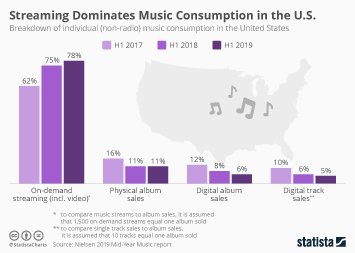 Initial attempts at developing online based distribution models through mp3 sales operations like the iTunes Store were soon ousted by illegal downloading platforms offering the same service for free but without any copy protection. 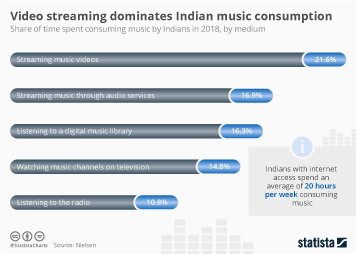 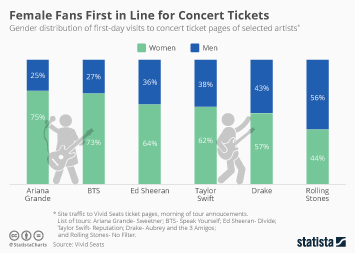 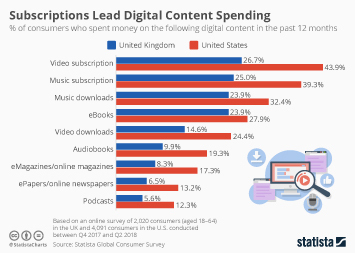 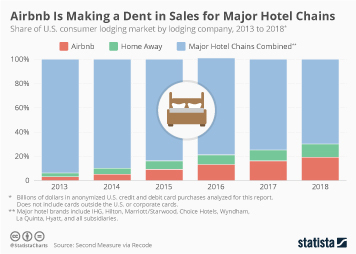 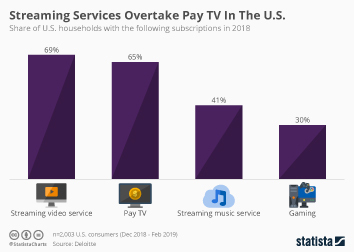 As this infographic shows, streaming turns out to be the remedy for the music industry’s growing pains in the age of digitalization. 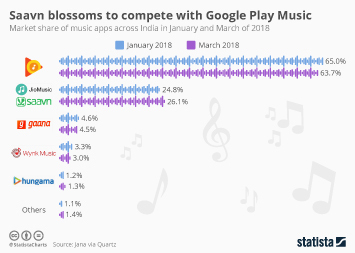 Ease of use and availability are the two factors dictating the development of music publishing these days. 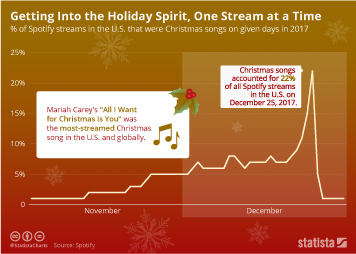 Providers like Spotify or Apple Music make music available to everyone, everywhere and at any time. 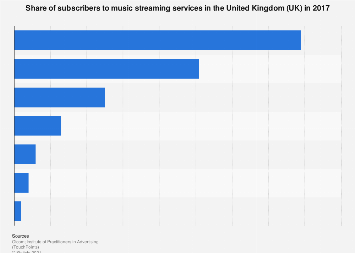 That’s usually on a pay-per-month basis whilst sharing and downloading music illegally does not only run the risk of getting fined but also comes with less convenience than streaming services. 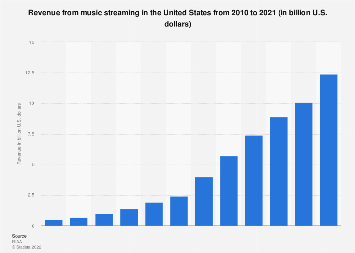 This graph shows the revenue generated through music streaming in compariston to P2P sharing penetration in the U.S.